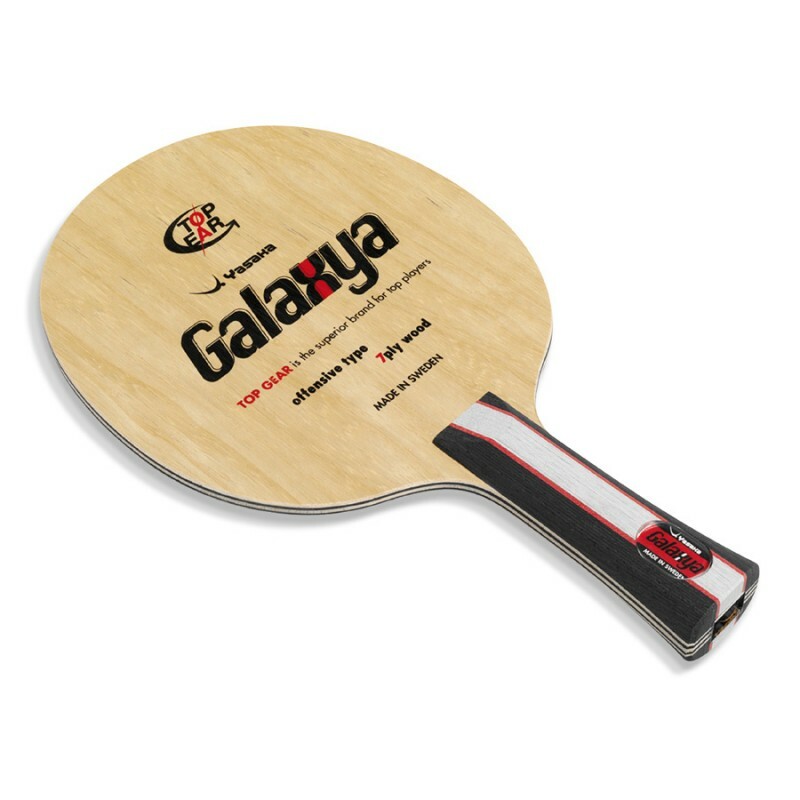 The Yasaka blade GALAXYA has been developed by Japanese players in close collaboration with Yasaka’s Swedish blade factory. The players greatest desire was to have a fast and powerful blade, suitable for challenging the ultimate offensive game. The result is a seven layer blade, the inner veneers having a unique blend of precisely combined thicknesses to give the basic power characteristics. The outer veneers are medium soft, specifically chosen to add better ball feel characteristics to the GALAXYA. The GALAXYA comes with a thin double lacquered surface and attractive print design.